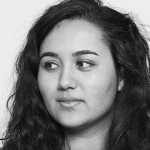 Do you have £350.00 to spare on a quality blanket designed by the artist who made the Yeezus T-shirts? Don&apos;t answer that question. What about €300 for a skateboard designed by Ai Weiwei? Or one of these $95 Ryan McGinley or Yayoi Kusama towels by the Art Production Fund? It&apos;s a slippery slope when it comes to an artsy Christmas gift for yourself or someone else, but since the Yeezus shirt has basically become a staple of everyone and their mom&apos;s wardrobe, you might as well have a blanket to go with it. 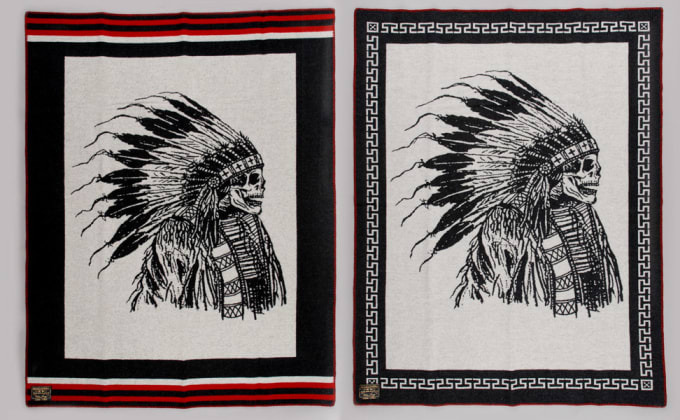 Made by Wes Lang for Indigofera, the 100% Wool Prima blankets, made in Norway, depict skeletons wearing Native American headdresses. Buy one here before they sell out again.